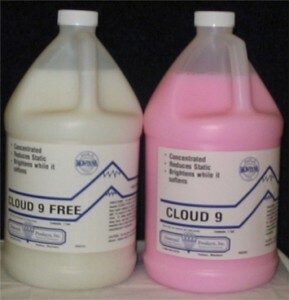 Economical liquid fabric softener concentrate. Leaves fabrics soft and cling free. When used properly, the product actually reduces water retention in the fabric, therefore reducing the time and cost of drying. You save money while your sheets, towels, pillow cases, etc., come out soft and gentle without static cling. Use only 1 to 2 oz. in regular loads. Also ideal for smaller commercial machines in the 25-75 pound capacity range. Freshly scented.